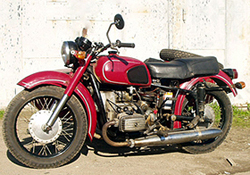 Because the vast majority of the older M, K and MT models on the market today have been rebuilt from various parts, it is almost impossible to identify a motorcycle by cursory inspection; i.e., late model Dneprs are often retro-fitted with M72 tanks, solo saddles or early headlight/ignition shells. But there are a few differences which can be obvious on closer inspection. 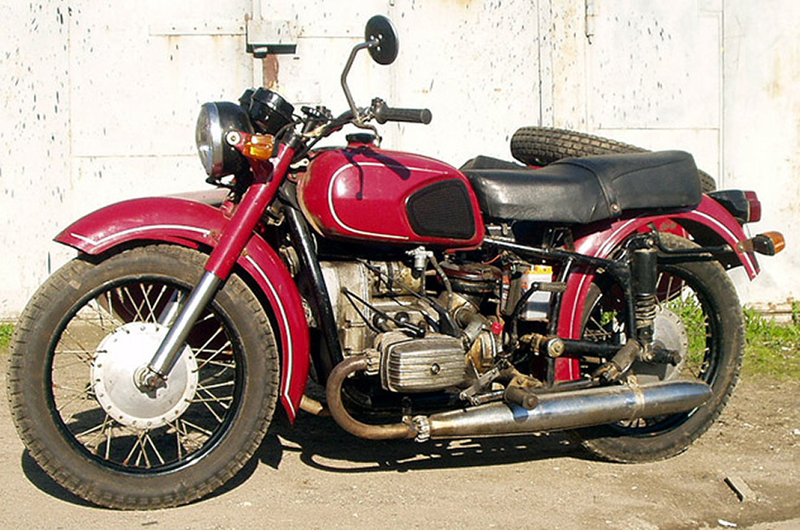 • Early frames (to M63) are one piece with rear plunger type suspension. 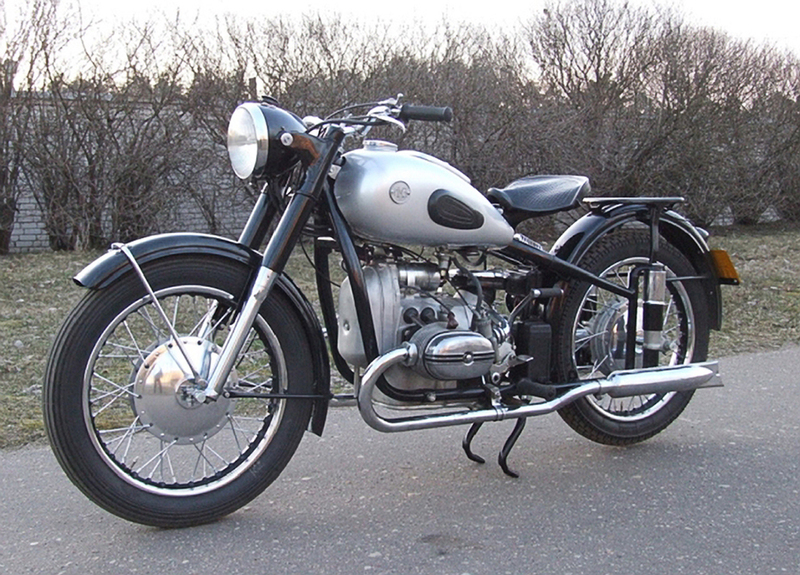 • Later frames (M63+) have the swingarm outside the rear frame. • Large engine timing covers span the full vertical height of the engine. • Rocker covers are rounded, oval shaped with 3 raised lines. • Early wheel hubs are "bottlecap" style pressed steel with different sized spokes. • Frames (K750+) feature a swingarm mounted inside the frame with rear plunger type suspension. • Small engine timing covers only span the upper half of the engine. • Rocker covers are squared, rectangular shaped with 5 raised lines. • Wheel hubs are round, cast aluminum with straight spokes and no indentions. 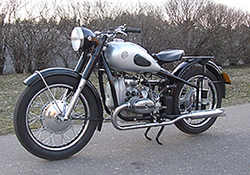 Tubular steel frame, 22hp 4-stroke horizontal twin, 746cc flathead sidevalve, shaft drive. 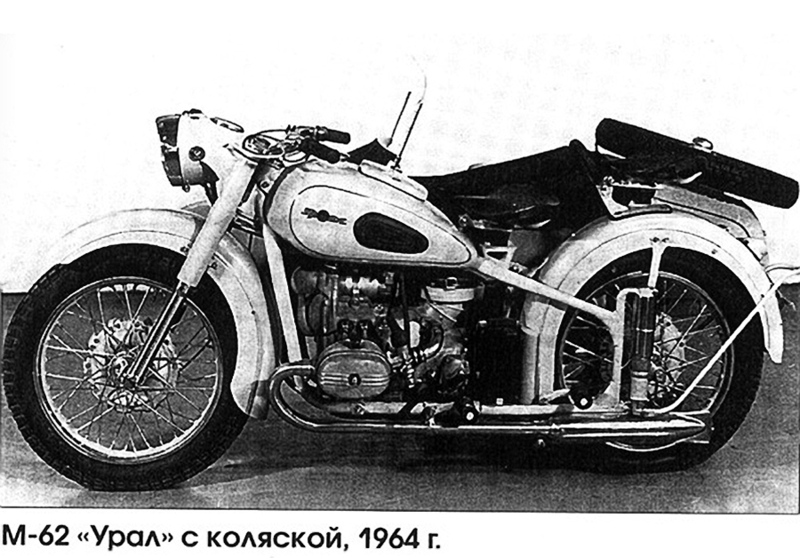 3458 units produced,replaced by R-75 in 1941. 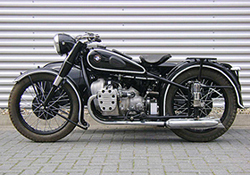 Direct copy of BMW R71; est. 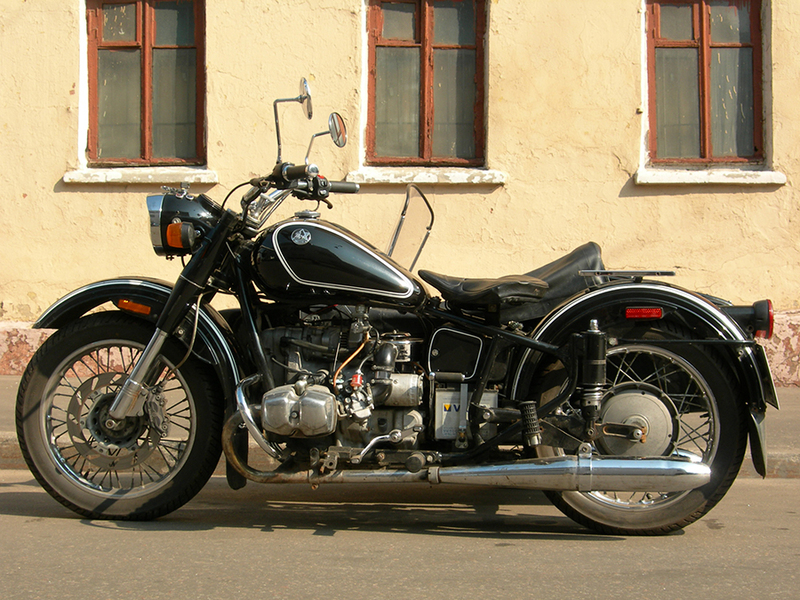 30,000 units built to 1950. Military production only to mid-1950's. Note "Bottlecap" wheel hubs on IMZ models. 1,011 est. units. 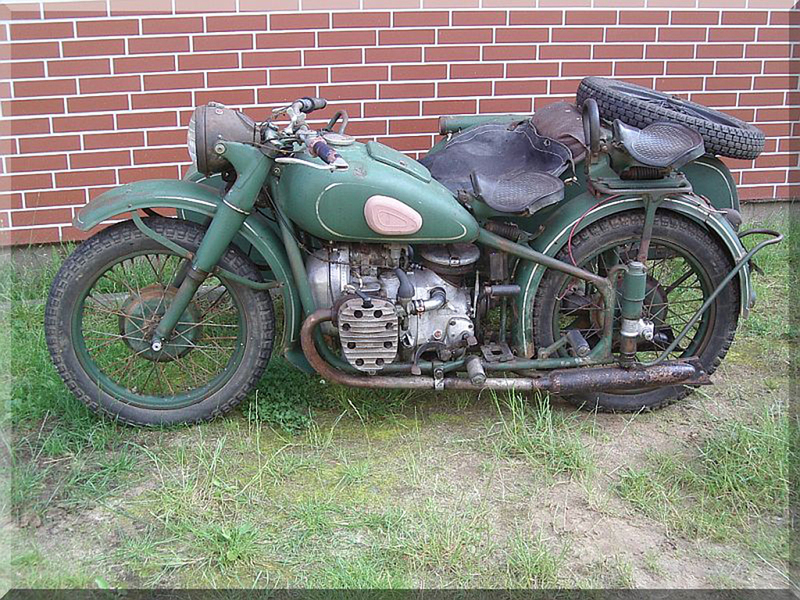 Rare example of HD's flat twin army model and their only attempt at a flat twin since the 1920's W model. 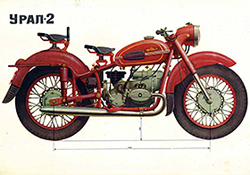 Introduced swingarm frame 1958, different cylinder head designs from M72. KMZ models with symmetrical wheel hubs. Last 746cc side-valve motor, 6v electrics. 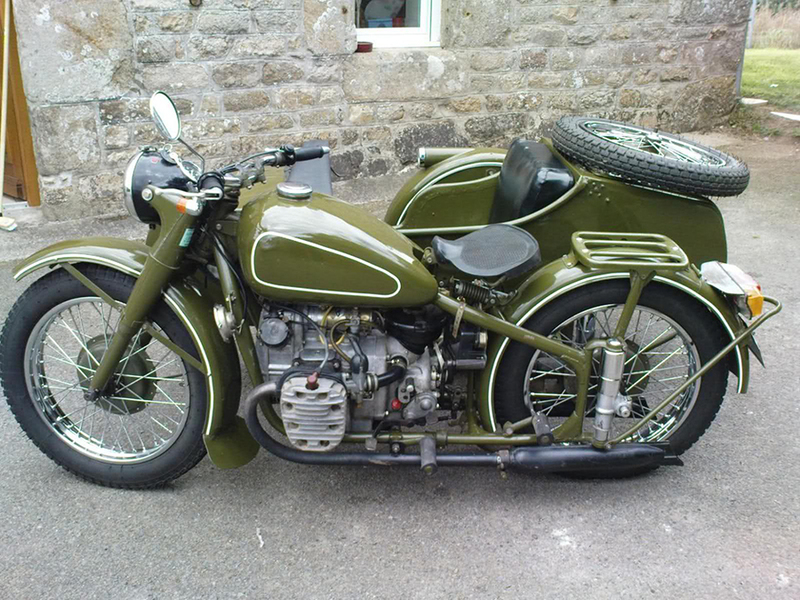 Full-time sidecar wheel drive with 70/30 output to rear and sidecar wheel respectively. Copy of Russian M-72, 12v electrical alternator on later models. Chinese castings are less finished than Russian, Type 1 engine has oil dipstick at bottom of engine. No toolbox in tank. 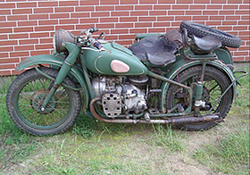 From late 1941 to 1943 the Tyumen factory produced a model TMZ-53, also based on the BMW R71 but with a 1000cc SV engine. 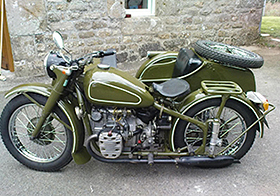 The gearbox featured 2 ranges of short and long ratio and the sidecar wheel was driven by a differential. 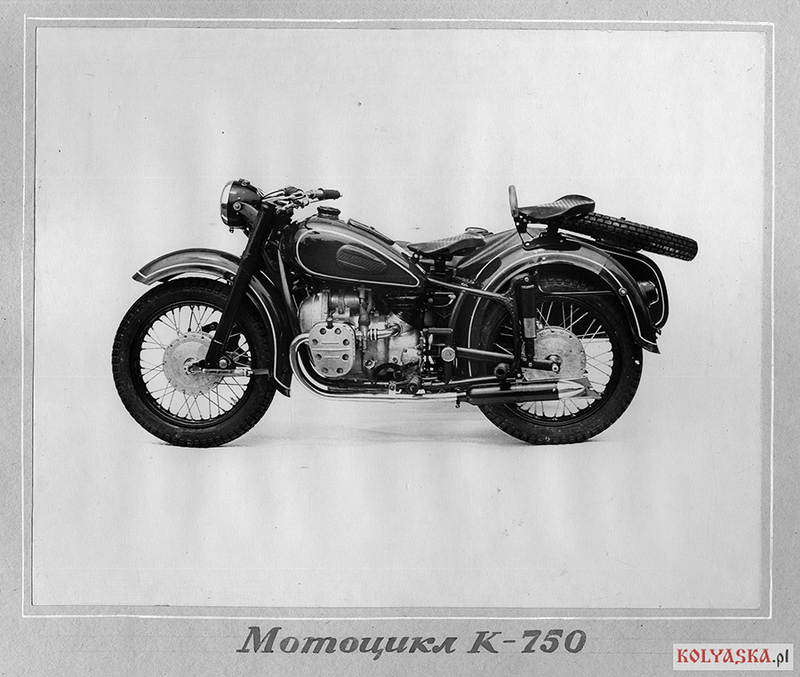 The only known surviving example resides in the Moscow Polytechnic Museum, presented here for historical reference. 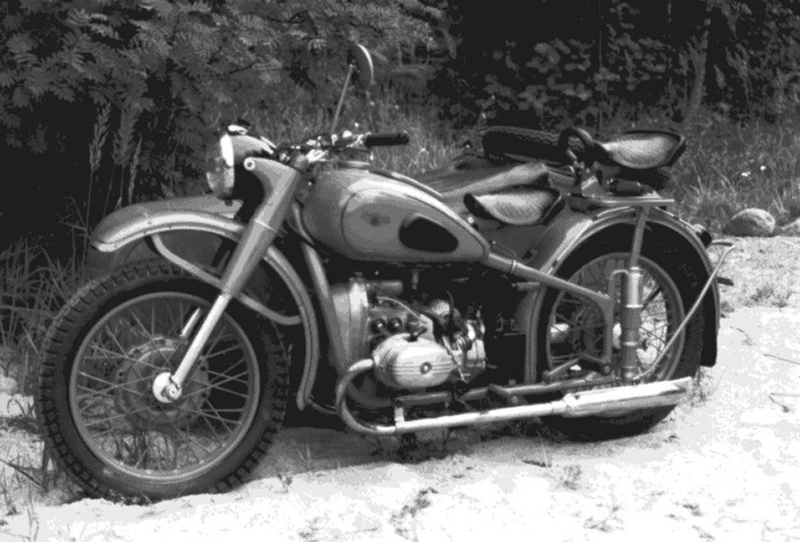 494cc OHV, 24hp, M52K (1957-1958) 26hp, M52C (1957-1964) with 35hp., later with a swingarm frame designated M53. 649cc OHV, 28hp. 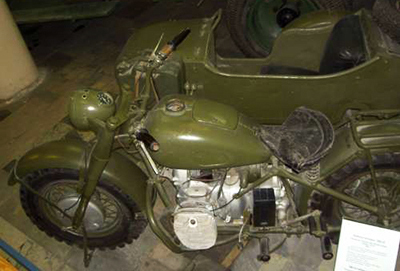 Early models used M72 frames, rear plungers shortened on later models. 649cc OHV. 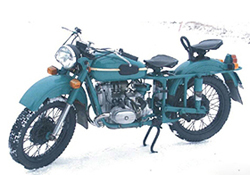 Redesigned frame and modified rear plungers; KMZ style rubber block seat mounts replace the earlier spring, rear saddle assembly mounts directly onto fender. 649cc OHV. Swingarm frame; various cosmetic changes including rubber tank band and mud flaps. 649cc OHV. 32hp. 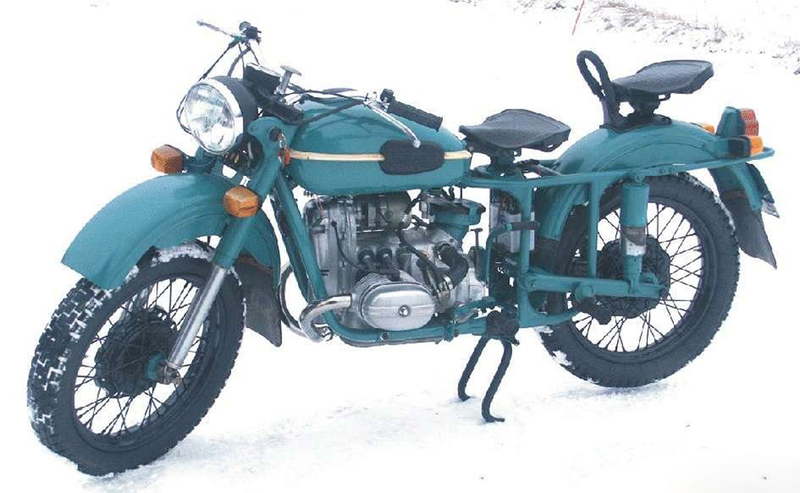 First Ural to use the paper oil filter cartridge, otherwise almost exact from M63. 649cc OHV. 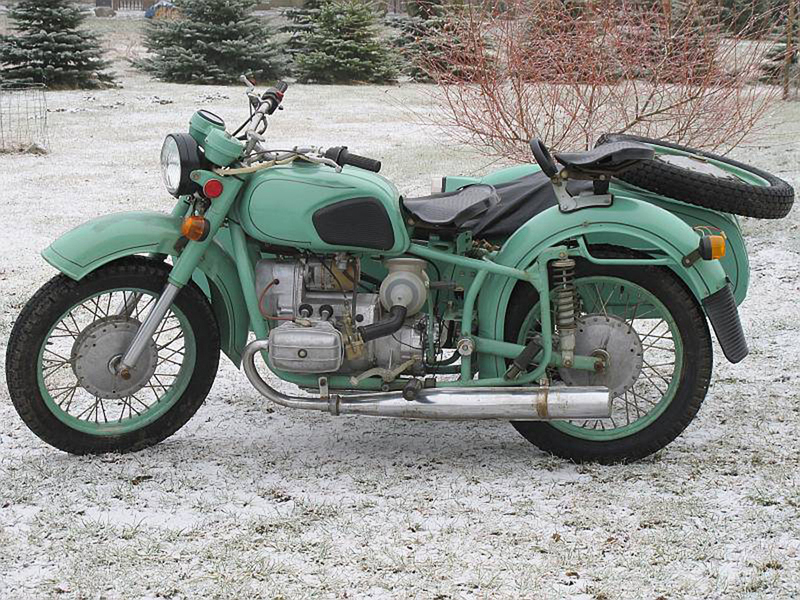 First Ural with 12 volt electrics; electric start and redesigned headlamp/ignition switch with seperate speedometer. 649cc OHV. 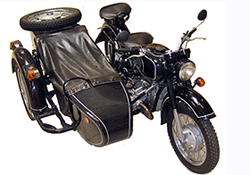 This is the basic machine carried on into the modern 650 solo and sidecar models with various cosmetic and design options. 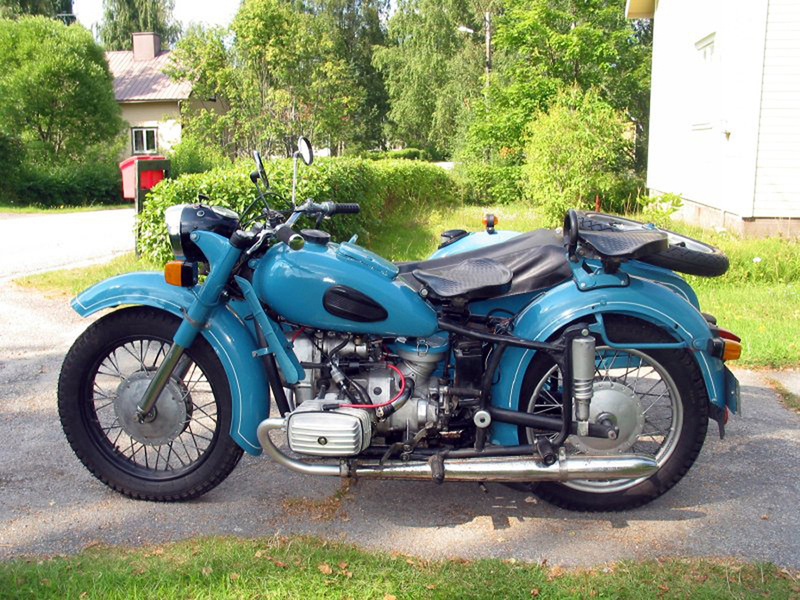 745cc OHV., 38.88 hp. 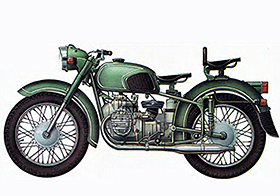 ("Retro" model shown). 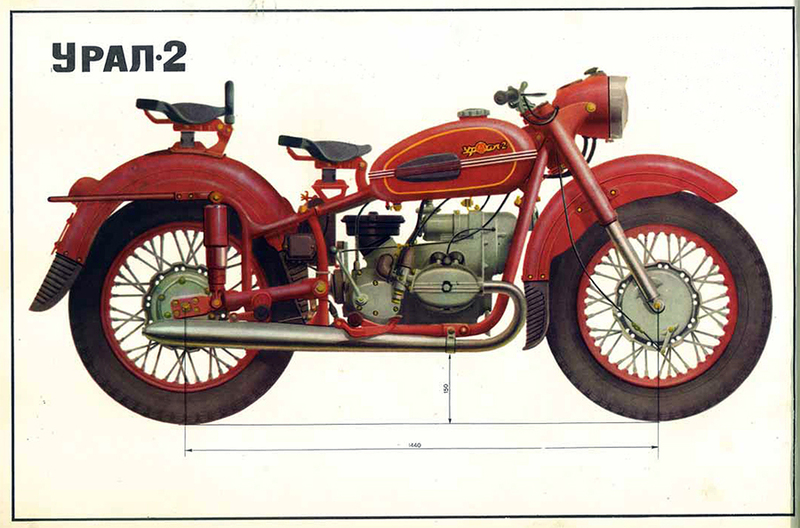 Note the squared cylinder covers. 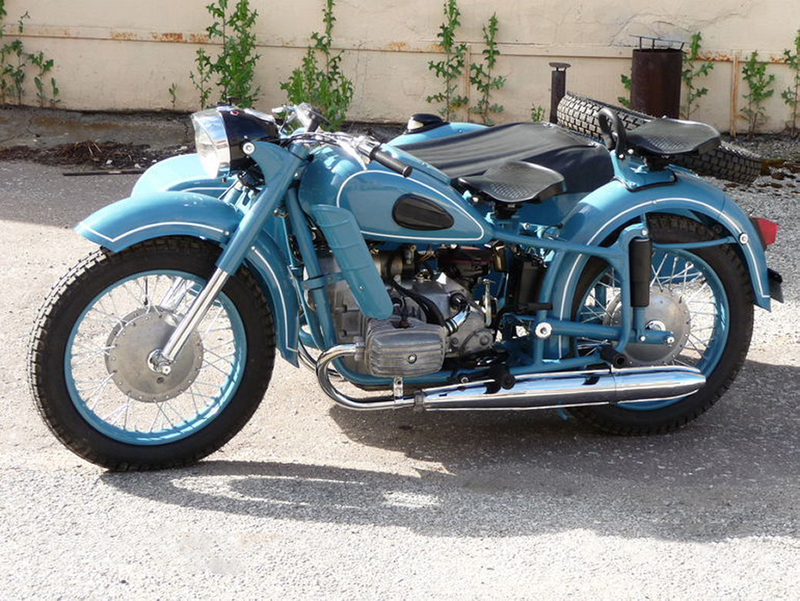 May be solo or w/sidecar, single or 2wd. 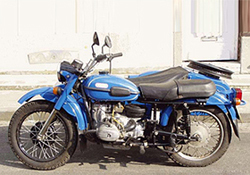 749cc OHV. 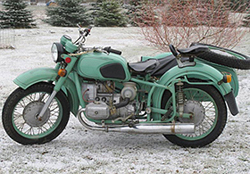 First Ural production "chopper" designed in collaboration with Night Wolves MC. Top end est.81mph/130kph. 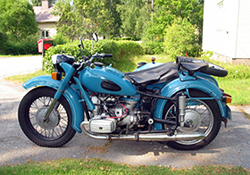 Ural gearboxes did not have reverse until 1999 (approx. ), but did have a hand shifter on the right hand side. When the reverse gear was added you push rearwards to get reverse. Urals feature roller bearings on the crankshaft. 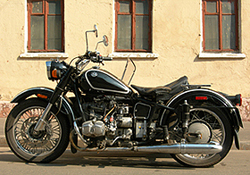 Ural overhead valve engines come in two sizes, 650cc and 750cc. 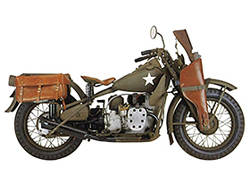 The earlier 650cc engines have a cast iron barrel bolted directly to the crankcase with studs on the barrel to mount the aluminum head, oval rocker cover with push fit down pipes. 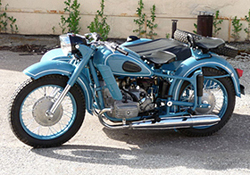 Later 750cc engines have a aluminum barrel and head, more rectangular rocker cover. Studs pass through barrel and head. 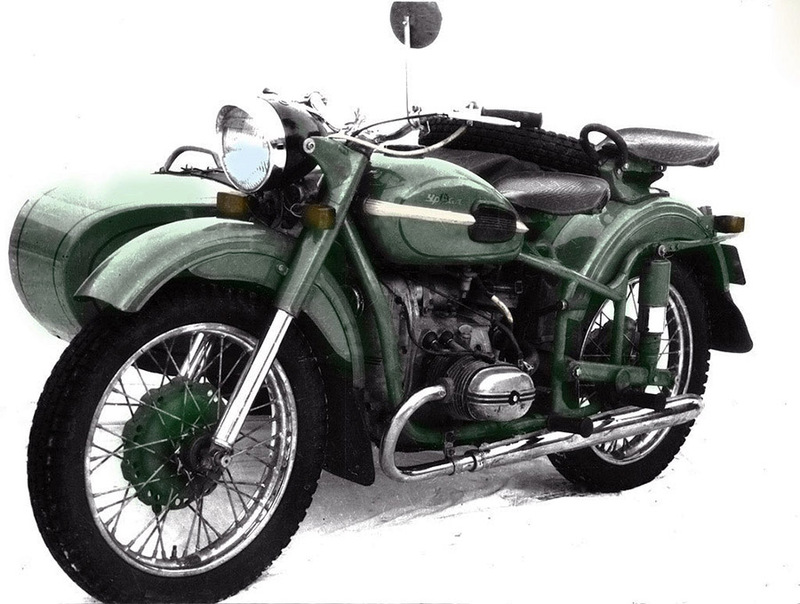 649cc OHV., 32 hp. 1st KMZ OHV machine, released to celebrate the 50th Anniversary of the Socialist Revolution. Last KMZ with "crash" gearbox, introduced centrifugal oil cleaner and oil pressure warning switch. 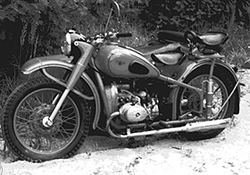 649cc OHV., 32 hp. 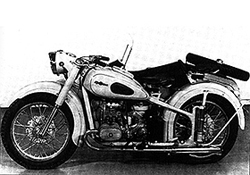 Introduced "Dneprglide" gearbox with automatic declutching and reverse gear, later models with square "breadbox" tank. 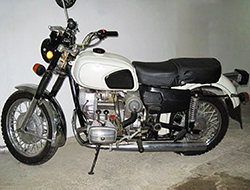 Last OHV model with 6v electrics, K-301 carbs and interchangeable intake/exhaust valves. 649cc OHV., 36 hp. New instrument console, introduced 12volt electrics, heavier brake and clutch levers. 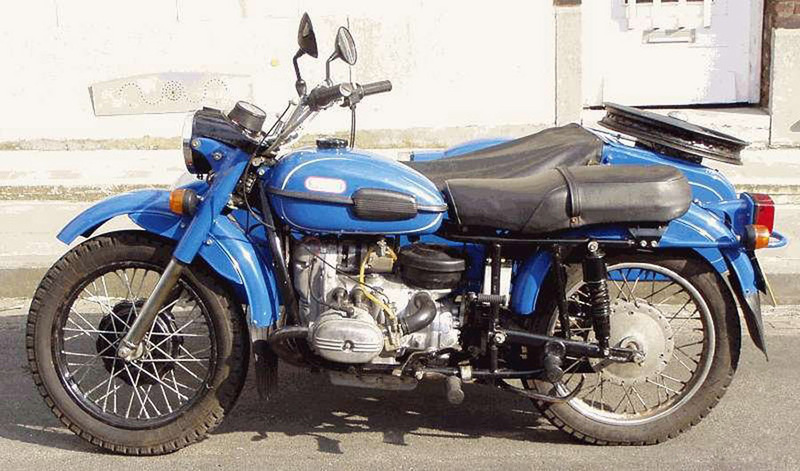 649cc OHV., 36 hp. Lighter flywheel and larger bolts on final drive, most MT-11s came with bench seat. Late versions had new oil filter. 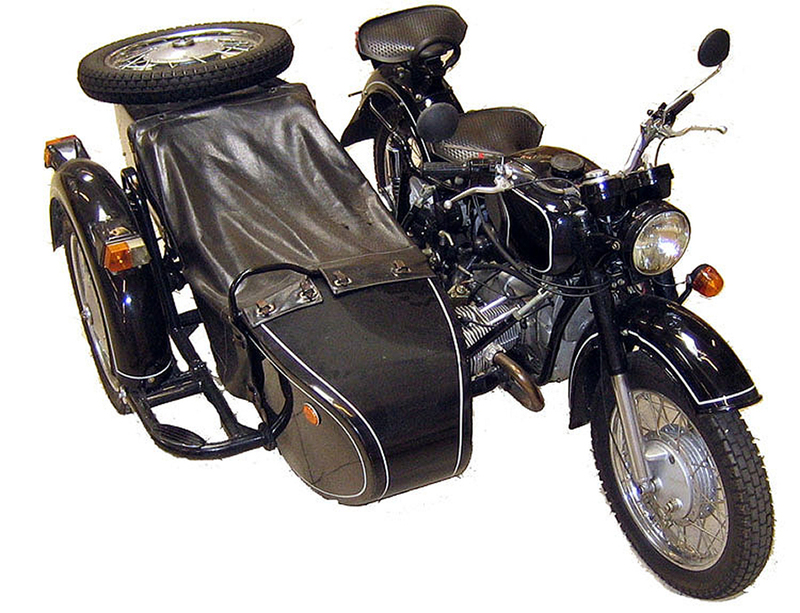 649cc OHV., 36 hp.70/30 sidecar wheel drive, basically the same as MT-12 (see SV models) but with 650 OHV. 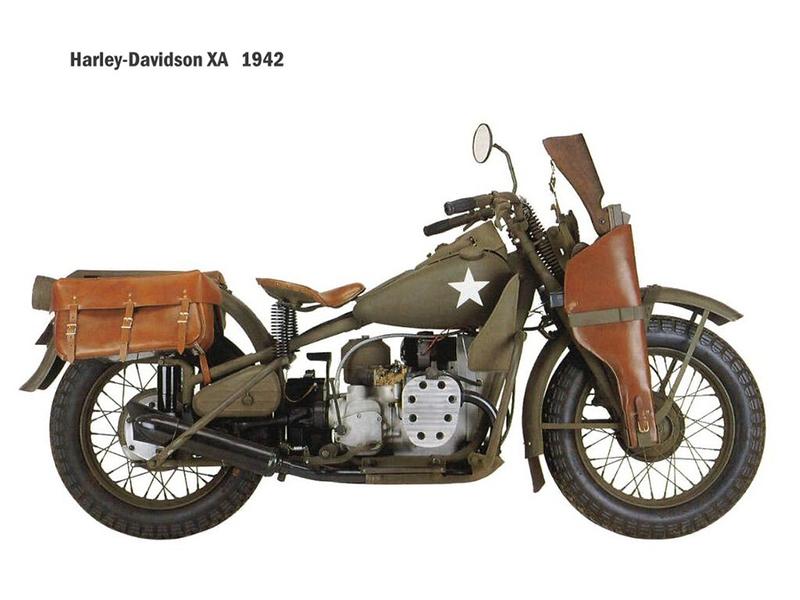 Models came with either tractor saddles or bench seat. 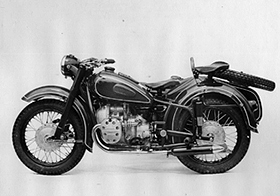 649cc OHV., 32 hp.70/30 solo model; 18"rims, 9/35 cog ratio in the final drive. 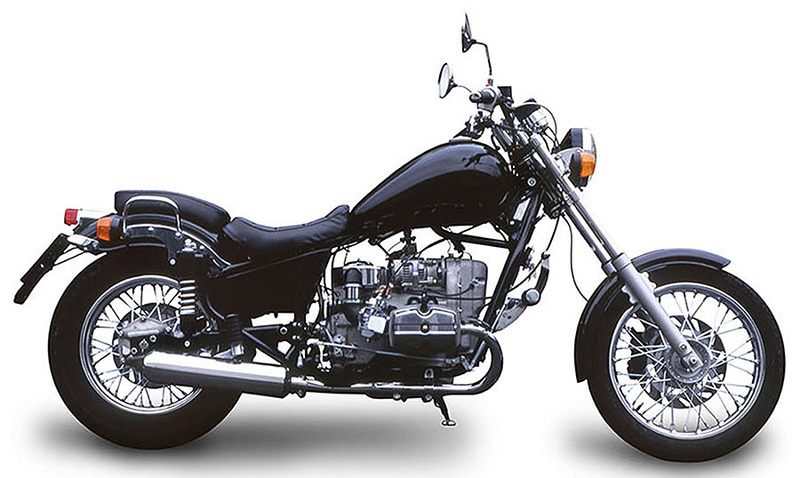 Also released as a "chopper" with redesigned exhaust and bars. 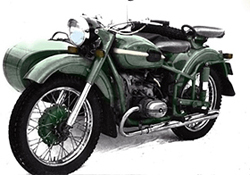 Dnepr 650cc OHV engines have a aluminum barrel and head with a rectangular rocker cover, the mounting studs are visible through the barrel fins. The exhaust has a screw on fitting at the head. 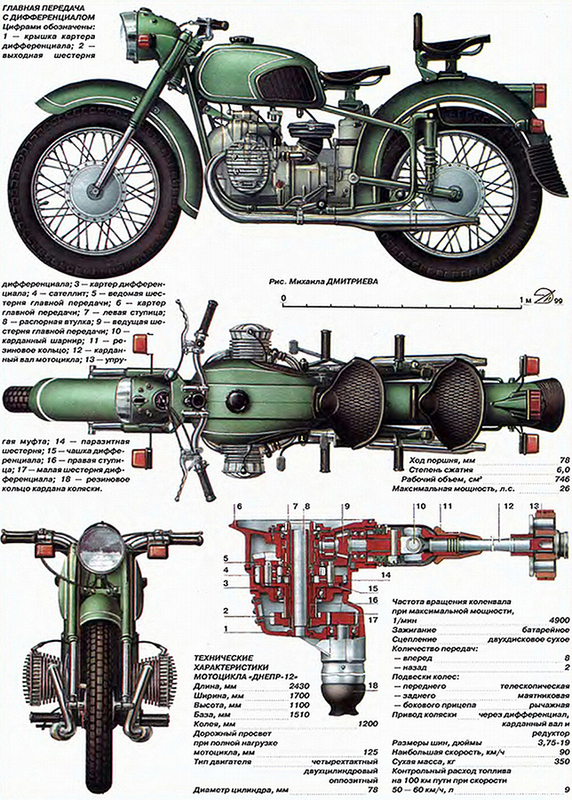 Dnepr gearboxes have a reverse lever which is push forwards to engage, and a declutching device which works when the gear lever is depressed to engage gears: however some early units came without one or both. Dneprs have shell bearings on crankshaft. 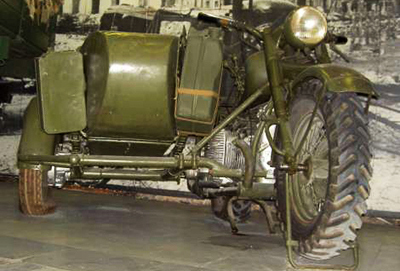 Later Dneprs used the rectangular "toaster" or "shoebox" tank.